« Should we fence the arms of Universal Robots? Building an industrial robot isn’t trivial but is not rocket science either. It’s far simpler than manufacturing a car, for example. A few good robot experts, some funding, and a couple of years of hard work are sufficient to come up with designs that can compete with those manufactured by current industry leaders. Sure, it helps to have KUKA’s marketing budget, but robots are not luxury goods and news about novel robot models spread quickly these days. Universal Robots may no longer be a small startup, it is still minuscule compared to other robot manufacturers. Yet last year, Universal Robots received more attention than any other industrial robot company (if we don’t count KUKA’s table tennis publicity stunt), and their sales probably start to match the sales of other similarly sized robots. 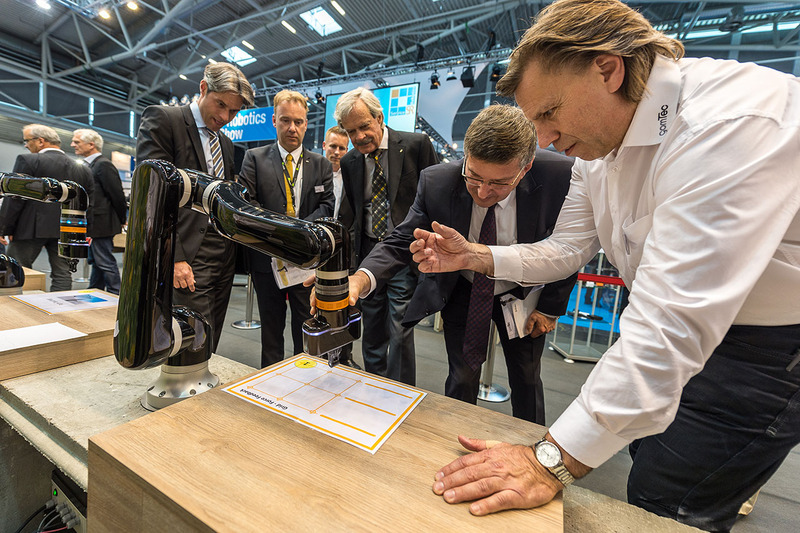 Last Tuesday, at the opening of AUTOMATICA 2014, KUKA’s LBR iiwa was facing (almost literally, in Hall A4) a new serious competitor: the Roberta collaborative robot arm. Roberta was developed by gomtec (previously RG Mechatronics), a small young company from Germany. The roots of gomtec (like those of KUKA’s LBR iiwa) lie in the German Aerospace Center’s (DLR) Institute for Robotics and Mechatronics. The company is owned by former DLR robot researcher Bernd Gombert (pictured below), who is well known for his contributions in light-weight robotics and for the invention of the SpaceMouse. Roberta is actually a family of six different robot models and even with all possible options the prices of these models are much lower than the recently slashed prices of KUKA’s LBR iiwa two models. (Yes, I was among the last enthusiasts to pay nearly $200,000 for their smaller robot arm). 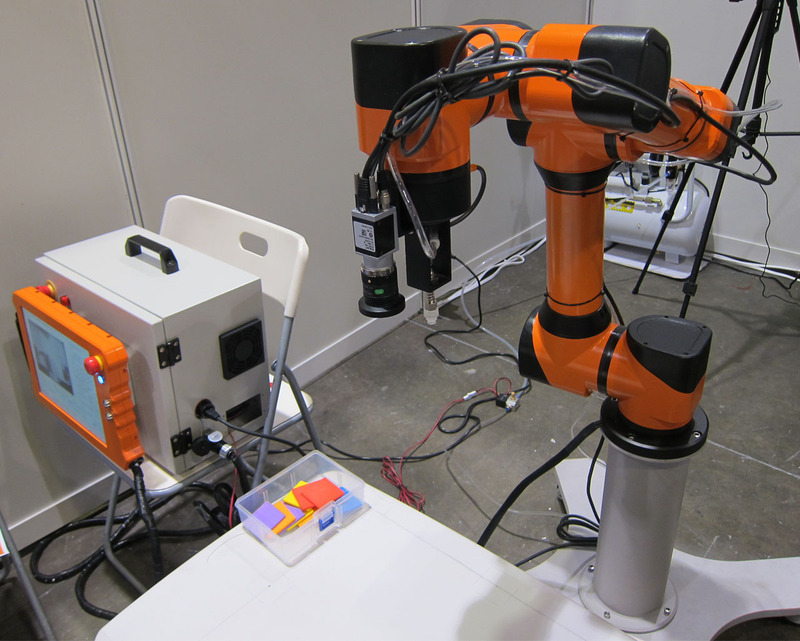 A day before, at ICRA 2014, Smokie Robotics, a startup headed by Prof. Jindong Tan from the University of Tennessee, amazed me with their $15,000 (!) version of Universal Robots’ UR5. 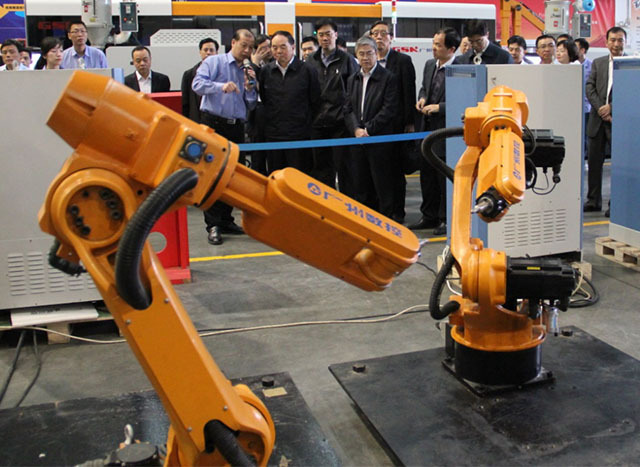 The OUR-1 (for Open Unit Robot) is manufactured in China, and while it does not (yet) have the safety features of UR5 and UR10, nor their nice intuitive user interface, nor their teach by demonstration ability, it looked very well built. Surely, the OUR-1 is not (yet) as good as the UR5, but there is certainly a market for it. I, for one, would like to buy it. Universal Robots just announced the introduction of absolute encoders (OUR-1 is already equipped with such sensors), but I wouldn’t be surprised if their next step is to lower the price of their arms.